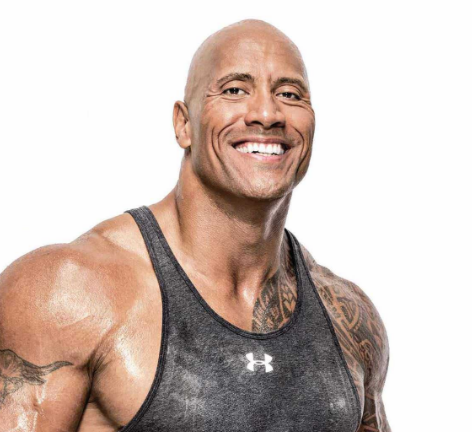 One of the popular professional semi-retired wrestler and an American actor is named as Dwayne Douglas Johnson. He is simply named as "The Rock". He is well known American celebrity. He is famous for contribution to professional life. He is very talented and skilled wrestler. He became famous in World Wrestling Federation from 1996 to 2004. He came back for part-time to wrestling for WWE from 2011-2013. Passionate and enthusiastic wrestler, Johnson was born on 2nd May 1972. He was born and raised in Hayward, California, city of U.S. He is the son of Rocky Johnson and Ata Johnson, his father, and mother. His nationality is American. His astrological sign is Taurus. At the small age, he began his career with wrestling. His father ethnicity is Black Nova Scotian and mother is of Samoan. Shortly Johnson lived with his mother’s family in Auckland, New Zealand. He has joined Richmond Road Primary School, prior to coming back to the U.S. He has attended in grade 10 at President William Mckinley High School which is located in Honolulu, Hawaii. At Freedom High School, he started playing football. He joined the University of Miami with a full scholarship. He graduated with a bachelor degree in physiology and criminology in 1995. He became Calgary Stampeders player in 1995. Johnson has played college football for the University of Miami and won a national championship. He has also played in Canadian Football League for the Calgary Stampedes. His grandfather name is Peter Maivia who was also a professional wrestler. Johnson has got a great personality. Talking about his body, his height is 1.93 m. His weight is of 118 Kg. His eye color is Dark Brown and hair color is Dark Brown. He has a balanced body with good health. He has an attractive body figure. His smiling face and charming personality have helped him to gain the attention of all the viewers. His biceps size is 19 in, chest size is 50 in, waist size is 35 in and thighs size is 31 inches. Johnson is considered as one of the greatest wrestlers. There were and are many professional wrestlers in his family. Johnson debut in WWF was as Rocky Maivia. On 13th February 1997, he became the winner of the WWF Intercontinental Championship. He suffered from a knee injury while having a match against Mankind. During this time, he admits his name as “The Rock” instead of “Rock Maivia”. At In Your House: D-Generation X, The Rock was defeated by Stone Cold Steve Austin within six minutes to regain the Intercontinental Championship. At Breakdown: In Your House, Mankind and Ken Shamrock were defeated by Rock in a steel cage match that made him the WWF Championship’s number one contender. The Rock became a popular name in wrestling. At Royal Rumble in an “I Quit” match on 24th January, The Rock acquired the title. From 1997 to 1999, he has faced lots of ups and down in his wrestling career. In 1999, he made a tag team with Mankind and became WWF Tag Team Champions by winning over The Big Show and The Undertaker. At SummerSlam, Booker T was defeated by The Rock and became the winner of WCW Championship. Likewise, he has won many titles. In World of Wrestling Entertainment (WWE), he has won seventeen championship reigns that include 10 World Champion, 2 WWF Intercontinental Championship, and 5 World Tag Team Championship. He also became the 6th WWF/E Triple Crown Champion and also is the 2000 Royal Rumble winner. In the year 2000, an autobiography of Johnson was published called The Rock Says… which was co-written with Joe Layden. It was ranked number one in the bestseller list of The New York Times and for many weeks remained on the list. He also played a lead role in The Scorpion King; US$5.5 million was paid for this role which made a world record in the first starring role for an actor. Since then, he has appeared in many movies that include The Rundown, Walking Tall, Be Cool, Gridiron Gang, Get Smart, The Game Plan, Race to Witch Mountain, Tooth Fairy, Planet 51, Doom, Faster, Jumanji, Jumanji 2, The Other Guys, Fast & Furious 6and Fast Five. He announced that he is working on a film that will include Chris Pratt as his co-star on April 2018. Johnson is a married man. He married Dany Garcia on 3rd May 1997. With his wife, he has one child. They divorced in 19th May 2008. Currently, he is in a relationship with Lauren Hashian, his girlfriend. They seem to be very happy with each other. The couple makes public appearances together often. There is no any sign of Separation between them. They are living peacefully. They are blessed with two daughters named Jasmine and Tiana Gia Johnson. This excellent wrestler makes good money from his work. 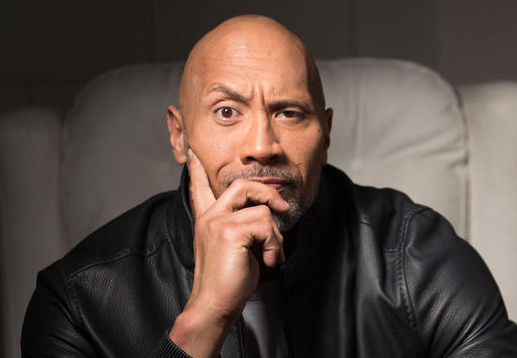 The net worth of The Rock is estimated to have $220 million as of 2018. He is receiving an annual salary of $64.5 million as of 2016. He is satisfied with his earning.